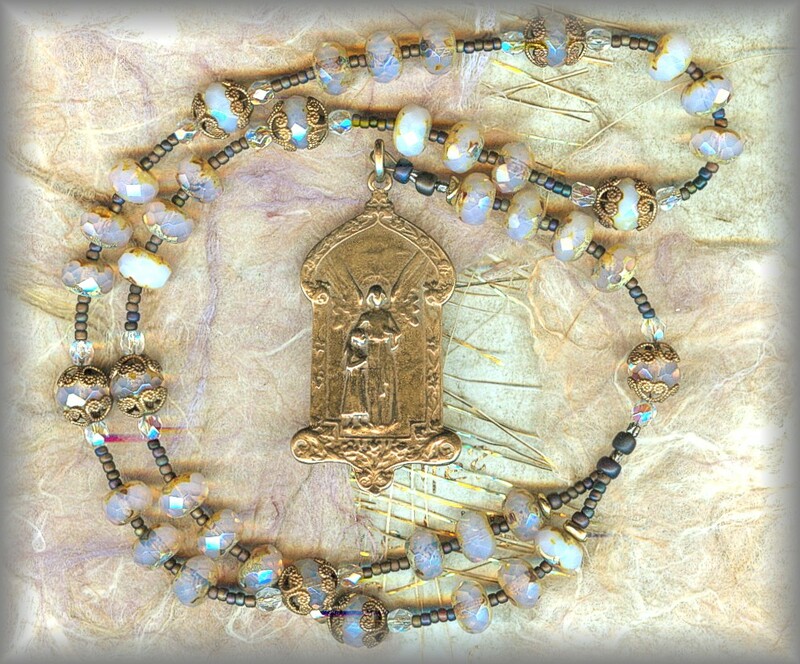 GAD.5661 - (pricing) "ANTIQUE WHITE MATTE"
This chaplet with its 9 sets of 3 beads, one set for each of the 9 Choirs of Angels, seems to have many offspring as is very similar to the St Michael the Archangel Chaplet in count and prayers. 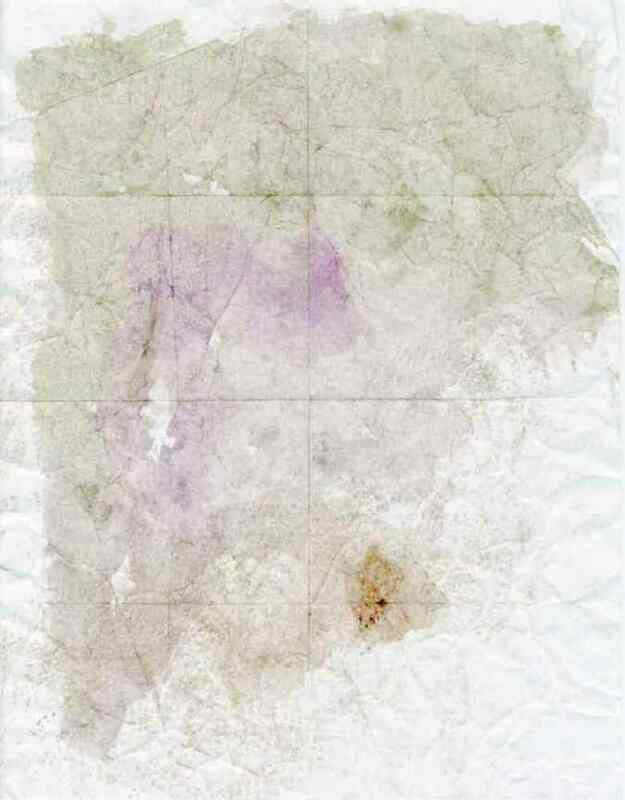 We have also - other than books of information, found one that is said in Colombia, (Latin America). So we are using a rather genearic copy of this with hopes that if you would rather, you may go back to the prayers of your choice. 'What is a Gemcut?' It is more like a rondelle, note it is not round. Because of this shape, each bead is easier to grasp with arthritic or larger fingers. It also allows for a shorter chaplet. 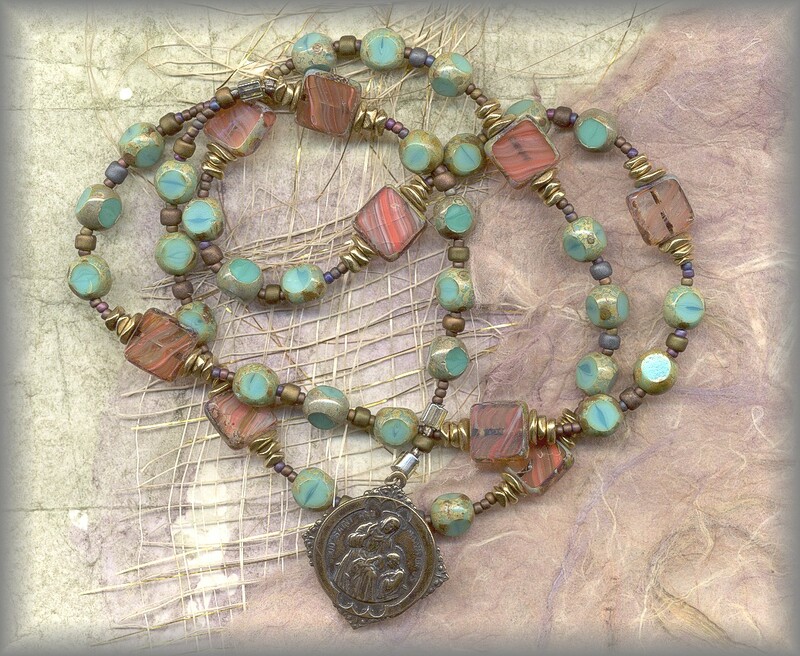 Available in beautiful colors, especially the variegated, giving each bead a semi precious stone appearance. 2 Color choices available on cart. The shape of these old beads is called a 'Rose Cut' with its very sofly faceted sides. 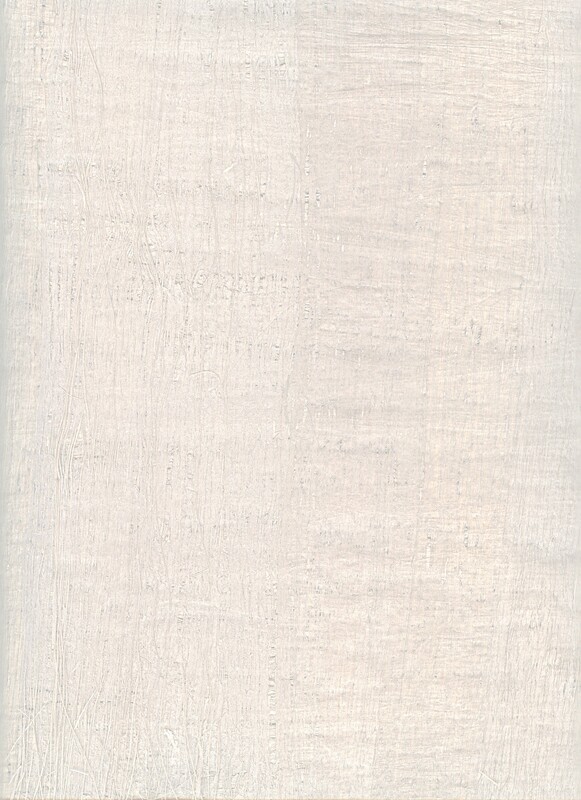 The matte finish makes the as soft as the wings of a dove to the touch. Our vender dated these from the 1940s or pre war. 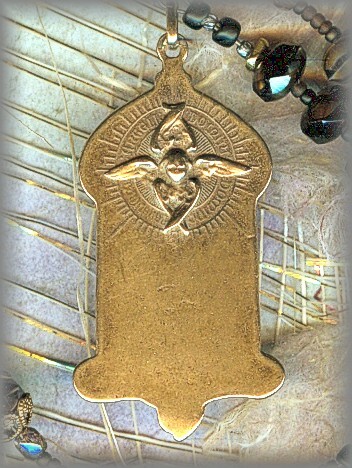 Golden spacers give a glimmer of heaven and the Paters are a bautiful sky blue! 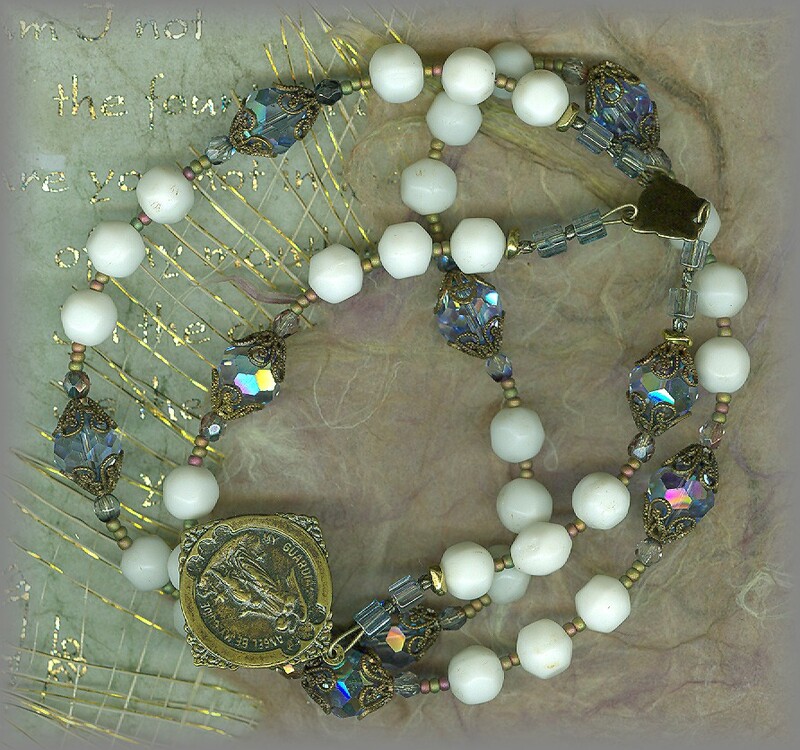 The beads in this chaplet are all fine Cz glass. 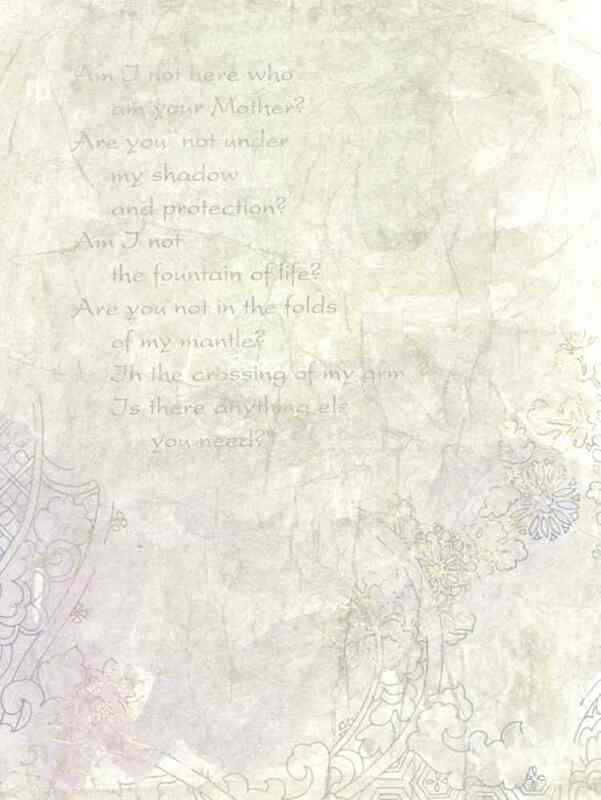 Paters are flat crystals, framed in antiqued granite with threads of coral running through the surface, no two alike. 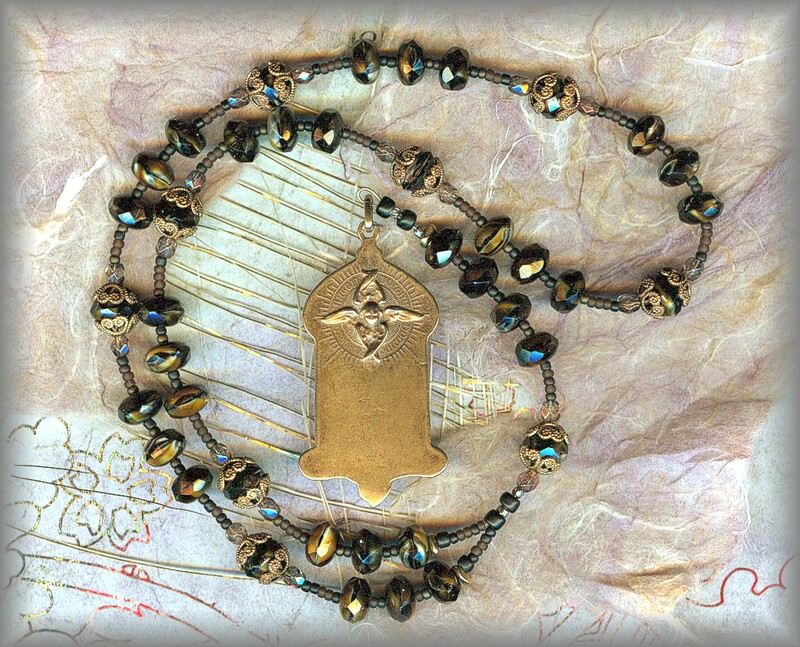 The Ave beads are called "Tri Beads' with their three 'windows'. reminding us of the Triune God. Variegated colors with mossy sides. 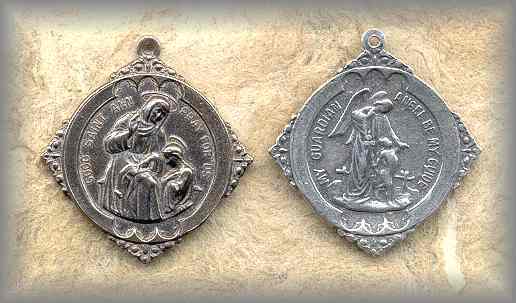 Medal is the same on both, angel one one, St Anne with Mary on the other. 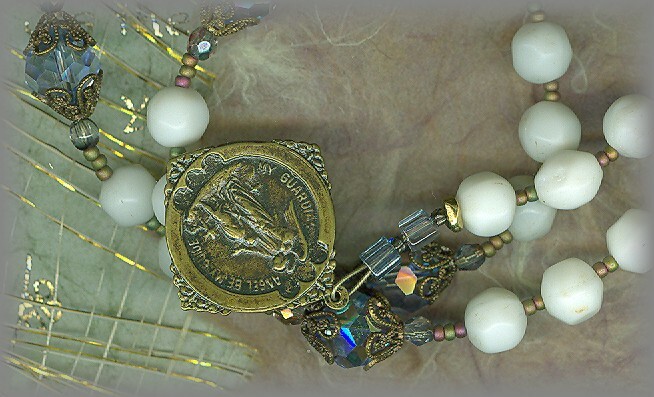 We have quite a few Angel medals and they may all be seen in the Pritable Catalog #17 and #16 - All are available without the chaplet and each makes a wonderful gift to give someone who is receiving his or her First Holy Communion or Confirmation. 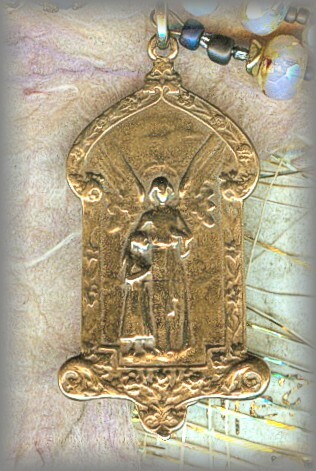 All medals handcast from antique pieces in sterling silver and solid bronze. To see full collection, go to Supplies Link.